« 3 Great Benefits of Hiring a Professional Landscaper this Summer! 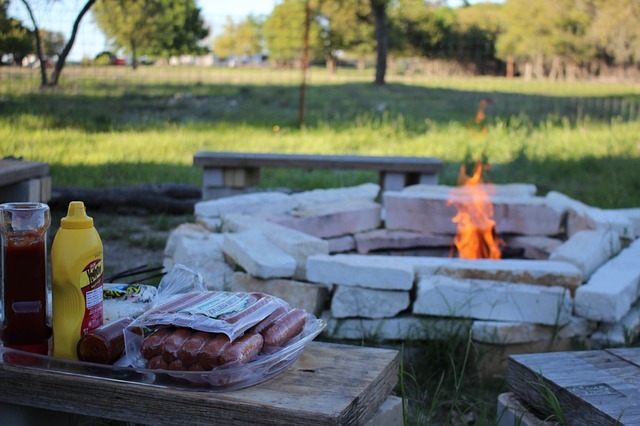 Create memories around your fire pit this summer! Adding a fire pit is a great way to add character and a useful feature to your home landscape. Not only are they highly desired, but they add to any outdoor space and will be a cornerstone of many of your family’s memories for years to come. To help inspire your next family firepit night here are four ways to bring your loved ones together for a great bonding experience. Maybe you’re not all musically gifted, but a sing-along night can be a great way to make lasting memories. If one of your family members can play an instrument, make sure they bring it along! Otherwise, bring out a Bluetooth speaker and have the whole family share a few songs, it’s a great way to share everyone’s musical interests while getting in some quality time. Bringing the family film night outdoors is easier than ever with cordless projectors and laptops. For a real movie theater experience, you may want to try building your own projector screen out of PVC pipes and a white sheet. Bring out the campfire popcorn and s’more supplies for an even more memorable experience. Playing cards or games around a fire is an excellent way to bond while relaxing. While you may need an additional light source for any physical games, the campfire is a great time to try out a more imaginative game. It may not be for everyone, but a family game of something narrative oriented like dungeons and dragons can keep your imaginations running. There is nothing more traditional than telling stories around the fire. Have a family yarn spinning competition to see who can come up with the most outlandish tale. Or try some of the many podcasts, audio dramas and stories available. We recommend Vincent Price’s The Price Of Fear for unique and old-fashioned spooky campfire tales or the podcast What You Missed In History for an entertaining and informative evening. This entry was posted on Friday, July 6th, 2018	at 7:46 pm	and is filed under Outdoor Living Space	. You can follow any responses to this entry through the RSS 2.0	feed. Both comments and pings are currently closed.